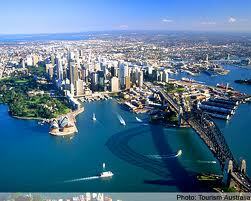 Australia is the largest island in the world and smallest among the continents of the world. Australia is a well-loved tourist destination and millions of visitors head there every year to spend languid summer months and enjoy the spectacular sand kissed beaches. Australia has had one of the most outstanding economies of the world in recent years. Flights to Australia will take about 24 hours as there is not an option to get a direct flight to Australia from Europe and the UK, more than likely you will stop over in cities such as Hong Kong, Kuala Lumpur and Singapore to transfer to an onward direct flight to Australia. The incredible vast country and continent of Australia is renowned for its wide open spaces; bush land, the outback (desert) and stunning beaches. Despite its wide open spaces Australia is actually highly urbanised and densely populated in its cities. Travellers booking cheap flights to Australia get to endure the magnitude of this fascinating country; from the rich and luscious acres of greenery to the vibrant red sands of the desert and not to forget the clear blue seas and the multi-coloured Great Barrier Reef. Historians and those interested in old colonial culture must book flights to Australia to discover her captivating growth from the primal beginning to the thriving continent she is today. With settlers first evolving over 40,000 years prior to European explorers hit the shores of Australia in the 1600’s. The indigenous race known as the Aborigines live in tribes and live off the land, owing to a culture based on a close spiritual relationship with nature and ancient hunter gatherer instincts. This is evident when you visit iconic areas such as Ayers Rock (Alice Springs) and the Three Sisters (Sydney), although open to the public these attractions are deeply rooted in the Aboriginal culture and Ayers Rock in particular is extremely sacred. Much of their culture can be discovered all over the country and every city tells a story. Although the first expedition to discover Australia was in fact the Dutch colonials whom had already built an Empire in parts of South East Asia, the most recognised discovery of Australia is by Captain James Cook in 1770 and claimed it New South Wales (now a large state in Australia) for the expansion of the British Colonial Empire. Following this the first of the British settlers came in 1788, thus beginning the building of cities and driving the Aborigines further inland. The British initial tried to convert them to a westernised way of living but they rebelled. Australia’s multicultural population is largely westernized with some Asian dwellers are now 3rd or 4th generation and have grown up to be ‘Australians’. The cities, like all major international cities, cater for the variety of cultures and tastes by providing an extensive choice of cuisine, art and a wide choice of entertainment. By nature Australians can be very open and they are known to be incredibly sociable, regarding themselves to be very casual in their approach to most things in life and are very warm and welcoming – even with their somewhat sibling rivalry with Brits (nicknamed Pom’s). When searching for cheap flights to Australia, be weary that during the UK/Europe winter months it is the height of their summer and flights to Australia tend to rise. Also bear in mind that when traveling on a direct flight to Australia you are restricted to bring in certain food products, there are indications of this on Australia Government official websites as well as the airports – allowing you to dispose of said products before you reach immigration. Use Directflights.com simple flight search tool to find your cheap Australia flight by entering the dates you wish to fly. Directflights.com will then provide all cheap flights to Australia as well as the most direct flights to Australia from hundreds of airlines and flight partners, thus making your choice of flight much easier. The climate of Australia is significantly influenced by ocean currents, including the Indian Ocean Dipole and the El Niño-Southern Oscillation, which is correlated with periodic drought, and the seasonal tropical low pressure system that produces cyclones in northern Australia. These factors induce rainfall to vary markedly from year to year. Much of the northern part of the country has a tropical predominantly summer rainfall (monsoon) climate. 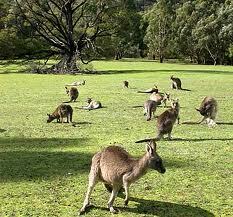 Just under three quarters of Australia lies within a desert or semi-arid zone. The southwest corner of the country has a Mediterranean climate. Much of the southeast including Tasmania is temperate.